Floater group of crystals from the classic locality of Busovača, practically the only one for good quality specimens of this mineral. 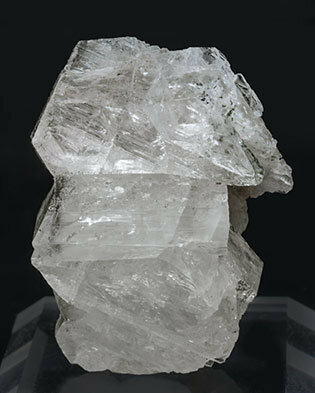 Crystals have very obvious double Baveno-Manebach twins, and they are colorless, transparent-translucent and very bright. 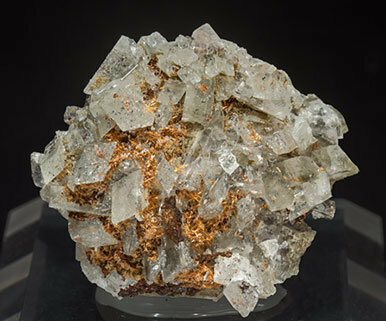 Group of very well-defined and bright crystals. They have a high degree of transparency and on both sides, more clearly at the left, the Baveno twin, typical of alkaline Feldspars, is present. 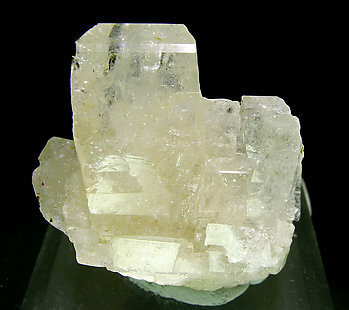 A floater group of crystals from the classic locality of Busovaca, practically the only one for good quality specimens of this species. 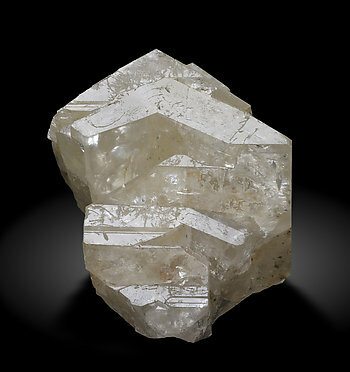 Crystals have very obvious double Baveno-Manebach twins, and they are translucent and bright. A group of prismatic crystals, with very good luster and definition of forms. 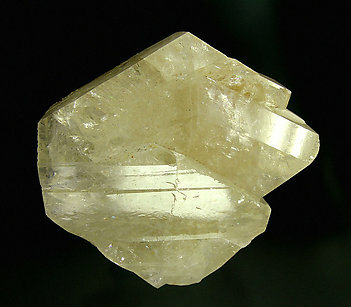 It is attached to a matrix of Quartz, something that we had never seen before. 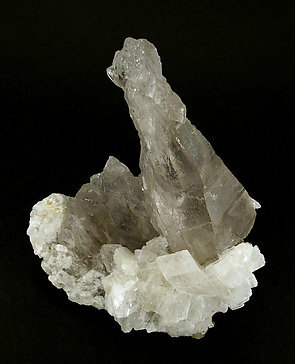 Aggregate of very sharp Hyalophane (feldspar series) crystals that are transparent and have a slightly bluish-gray color and are partially coated by unusual aggregates of acicular Rutile crystals.